Conor McGregor has been tested by USADA twice as many times as Floyd Mayweather ahead of their boxing contest on August 26. A USADA representative confirmed with TheMacLife.com on Friday that McGregor has currently been tested by the anti-doping agency ten times in comparison to Mayweather’s five. The reason behind the disparity is McGregor’s previous agreement under his UFC contract, which requires him to be available for random testing at all times. As such, McGregor has been tested five times for his boxing bout, and five times for mixed martial arts. The two agreed to extensive testing during negotiations for the mega-fight earlier this year — something UFC president Dana White gave Mayweather plenty of credit for during the media tour last month. USADA tests look for any banned substances under the World Anti-Doping Agency guidelines. It also can detect EPO, HGH and other such illicit drugs. 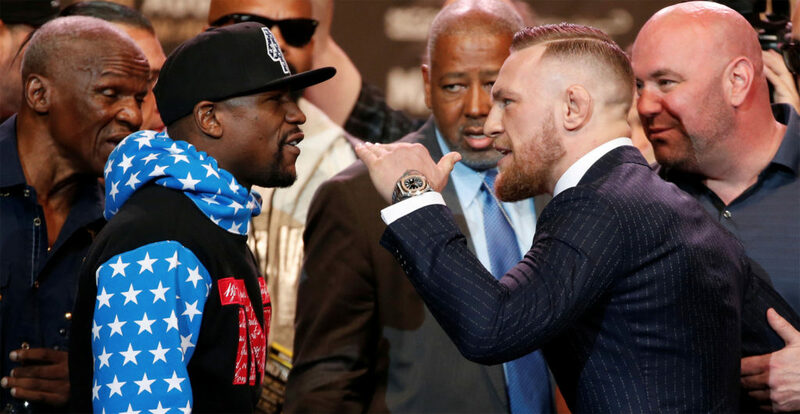 Speaking with MMAFighting earlier this year, a spokesman for the company provided details on McGregor and Mayweather’s testing protocol. While the procedures can be time consuming and inconvenient, it at least provides assurances that both men are entering the bout under the most stringent testing possible.